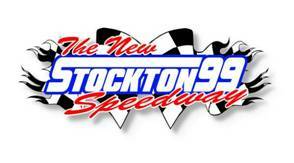 Warm and dry weather has finally arrived, and Stockton 99 Speedway promoter Tony Noceti has declared today the beginning of a new month. "This is now June, not June-uary," Noceti said. "I've been calling it June-uary because the weather has been more like February, but, hopefully, we are past that and can kick things into gear." Racing resumes at 6 p.m. today at Stockton 99 with the NASCAR Western Late Model drivers returning to compete in two 50-lap main events. The WLM division hasn't raced at the track since May 7. The bad weather already has forced the cancellation of two major events - the Fall-Spring Classic on March 20 and the Southwest Tour race last week. The tour event will be run on June 18. Noceti and his wife and co-promoter, Carol Noceti, made the decision three days before the SWT race to postpone it. "It did rain, and it would have been a disaster to have those guys come in for the race only to cancel it," Tony Noceti said. "We had drivers from several states that would have had to make the trip. Thankfully, we had a date available on the 18th to reschedule." Jeff Belletto of Modesto is the WLM points leader, having won two of the first four races. Justin Philpott of Tracy and Michael Wendt of Lodi have one win each. The program also will feature Grand American Modifieds, Super Stocks, Bombers and B4s.